college radio conference- 2013 IBS 73rd annual international radio, TV, webcasting and streaming conference is in New York City. IBS - Intercollegiate Broadcasting System, high school radio, college radio, and educational webcasting Conferences! 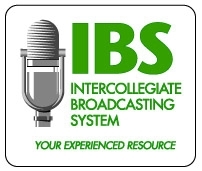 IBS - Intercollegiate Broadcasting System reliable information on college radio, high school radio, and educational webcasting. Over 1,000 IBS Members! Also: trusted information on webcast, webcasting streaming, and collegiate broadcasting from your trusted resource for 70 years, IBS. Podcasting, broadcasting from your iPOD. IBS is a member of National Association of Broadcasters (NAB), Broadcast Education Association (BEA), Radio Television News Directors Association (RTNDA), National Federation of Community Broadcasters (NFCB), National Broadcasting Society (NBS), AERho (Honorary Broadcast Chapters), and College Media Advisors (CMA). IBS partners with the these groups to bring IBS Members special benefits: Live365.com, (Live365), CMJ, College Music Journal, SBE, Society of Broadcast Engineers, (CBT). IBS for the benefit of IBS Members negotiates with and has signed joint petition(s) to extend webcasting rates and terms through December 31, 2005. IBS is the voice of education radio, webcasting and streaming audio. IBS helps schools start radio stations. IBS has broadcast curriculum, radio programming, special grant access for educators starting radio stations or webcasting. IBS and its Washington, DC, office and legal team helps IBS Members with the DMCA (Digital Millennium Copyright Act), copyright and FCC concerns. IBS protects and serves IBS Members. Intercollegiate Broadcasting System (IBS), your trusted experienced resource for over 70 years! IBS is YOUR international voice for college radio and streaming audio (webcasting)! IBS - college radio, TV, webcasting, podcasting, streaming, and high school radio! 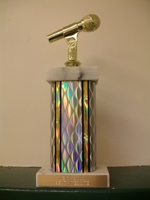 For outstanding radio and webcasting it takes two, IBS and YOU! Join over 1,000 IBS Member School and College Radio and Webcasters TODAY! Over 1,000 IBS Member broadcasters from coast-to-coast attended! New York City Broadcasting and Webcasting Conference! 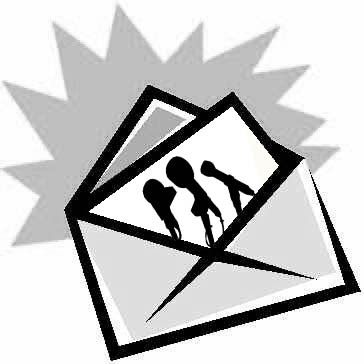 Register for IBS 73rd Annual IBS Conference on March 1 - 3, 2013! more than 100 Seminars, tours, and live music events! Meet over 1,200 student radio and webcasters from all over the world! Over 100 top broadcasting professionals participate on panels. 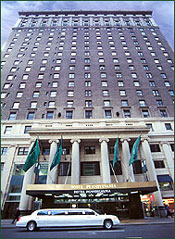 New York's Hotel Pennsylvania, IBS Conference home for over 30 years. The hotel is across 7th Avenue from Madison Square Garden and Pennsylvania Station. 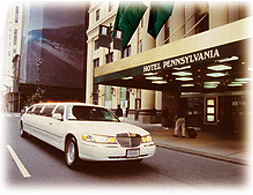 Register at very low IBS room rates at the Hotel Pennsylvania! Call 1-800-223-8585 with your reservation and say you are with the IBS Radio Group! Go to IBS First Website Page - click here! Links and content being added - stop back and visit again. Please send us your comments, suggestions and critiques.